Discover a few things you didn’t know about the youngest member of the Kardashian clam . . .
1. She only does school for 3 hours a day. During a recent interview with Ryan Seacrest, Kylie (16) revealed she only has school for three to four hours a day because of her work schedule! She only does the three to four hours of home-schooling a day in order to fit in all of her work commitments. 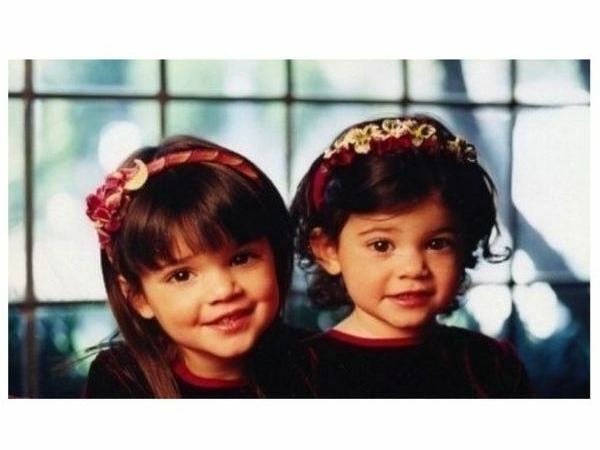 Kylie Jenner and her sister Kendall. PHOTO: Instagram 2. She doesn't get shy around boys. Kylie told Seventeen magazine, "I love to dance, so I’m definitely always the first one out on the dance floor. And when it comes to guys, I don’t get shy. So if I wasn’t with a date, I wouldn’t have a problem going up to a guy and just saying, ‘Are you gonna dance with me?’ Trust me, it’ll work for you too! Guys like it when you aren’t afraid to make the first move." She's got confidence! 3. She loves American Horror Story. Kylie can't stop watching AHS. She also watches The Vampire Diaries. Us too, girl! 4. She raids her sisters’ closets. For shoes Kylie goes to Khloé's closet. And for dresses? Kim. This girl is so lucky! Kim wearing Kylie's bikini. It seems Kim also raids Kylie's closet. PHOTO: Instagram 5. She used to be a cheerleader. Before making the switch to home-schooling, Kylie and her sister Kendall (18) attended regular school. Both were even on the cheerleading team.